Flexspace has proved to be just the tonic for Performance Bartending after they moved into their Blackpool unit in September 2017. Four months ago they saw a real spike in business. As demand continued to grow they realised they needed to look for some flexible workspace – to allow that growth to continue. Supplying elite performance bartenders and the very best training, Performace Bartending works with the world’s finest luxury brands, bars and venues. 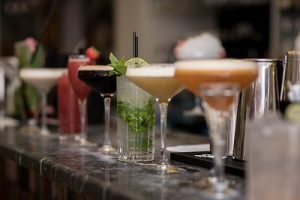 They maximise their customers’ takings behind the bar with a combination of speed of service, cocktail knowledge and keeping customers entertained. This leaves drinkers wanting to come back for more. The performance bartending team of 14 experts needed a space to train. The outside catering service required stock and equipment that needed storage. And finally, the company’s directors and marketing team needed an office. “Initially we were looking for three separate spaces: one for our bartenders to train in. Another where we could safely store all of our equipment and a third where the operational team could work. “It was proving difficult to find a space that was right for the bartenders to train in. It sounds like a basic detail but having high ceilings was crucial – the bartenders need the space to practice tricks and moves that require height, otherwise you could end up with a few smashed bottles! They also need 24-hour access to the space. Often they will finish up work in a bar or club and be keen to keep on training – and that could be at three in the morning”. When Colin and the team found Flexspace Blackpool, it was immediately apparent they’d found what they needed. The flexibility of the unit, the 24 hours access and the high ceilings, of course, were going to be perfect for the business. “Now we’ve moved into the Flexspace unit, the team are able to train whenever they want – and that’s really business critical to us. Our bartenders are passionate about what they do and they love to practice, so we need to provide the space to facilitate that training. “What surprised us was that the Flexspace unit was actually perfect for our other business needs as well as being a great training space. The fact that we can have an office space for the rest of the team too, means we’re all able to work together more closely and collaborate much more. “On top of that we’re able to securely store our equipment at Flexspace Blackpool. The roller shutter door is perfect – it’s a simple feature but one that makes loading and unloading vans and cars so easy. Flexspace are looking forward to seeing the continuing success of this brilliant business. We hope their Flexspace unit continues to support their ambition and growth. 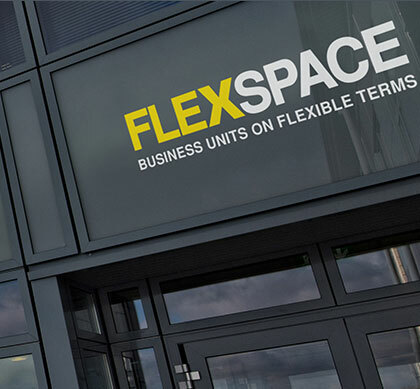 If you are interested in finding out more about a Flexspace unit that’s right for your business needs, then get in touch with us today.